Between the 1940s and the 1980s the population of rockhopper penguins breeding on New Zealand’s Campbell Island decreased by about 94%. Drastic declines have been reported throughout much of the species’ circumpolar subantarctic range. The cause is unknown, but one reason could be the increasing sea-surface temperatures since the Second World War, causing changes to the availability of their prey. 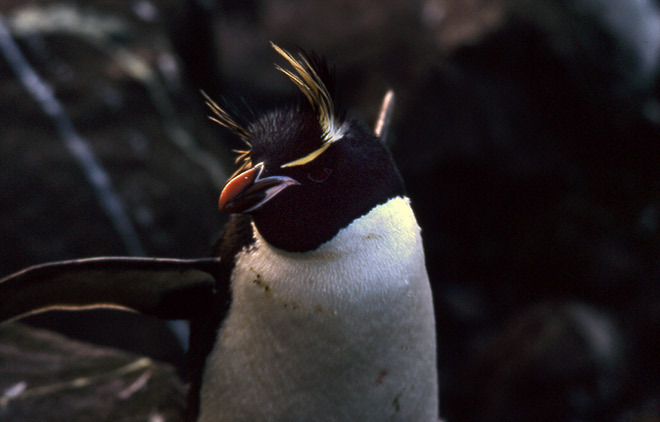 Could rockhopper penguins be the harbingers of global warming? Some scientists think so.